See more objects with the tag interior, home, organic, seating, curved, contour, chair, chrome. This is a Chair. 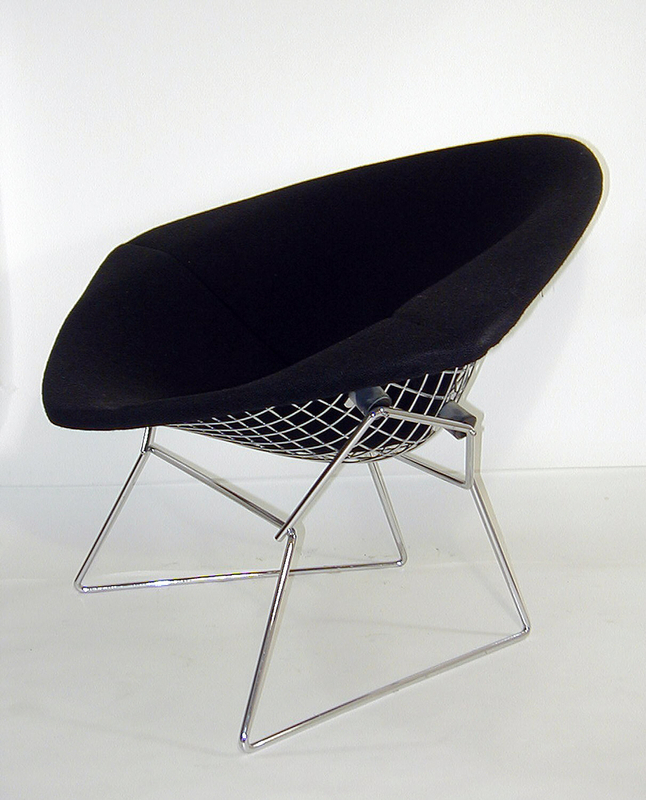 It was designed by Harry Bertoia. It is dated 1952 and we acquired it in 1990. Its medium is chrome-plated tubular steel, woven wool upholstery. It is a part of the Product Design and Decorative Arts department. In 1950, Knoll hired Bertoia to rethink and redesign familiar furniture forms, resulting in his series of Diamond chairs. 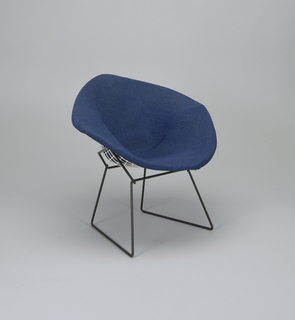 Largely derived from his earlier metalwork sculptures, Bertoia’s Diamond chair line was designed with the user in mind, adapting to the organic design movement that sought to make modern design livable. The full upholstery and nest-like form invite the sitter in, while the steel frame offered strong, yet lightweight, support. It is credited Gift of Knoll International.